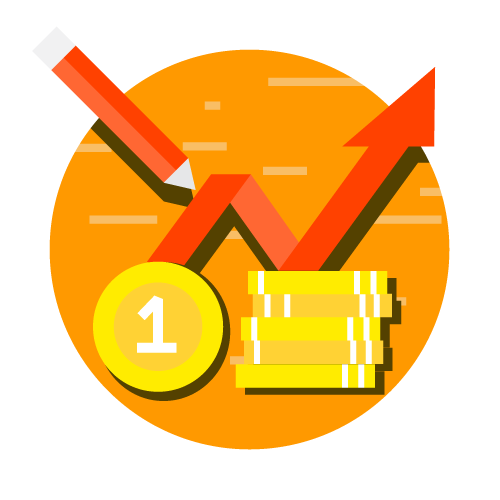 In the case of poorly-paid workers, any rise in the wage rate will not lead to a reduction in working time; it will only result in larger income which will be utilized in purchasing more goods. But beyond a certain stage, the worker will work Jess and still enjoy more goods. Study the following diagram. The worker is in equilibrium at P on the price line LM. When the wage rate goes up, the new price line is LM. 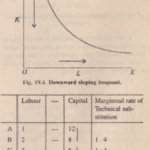 The worker must,therefore, now move up to some point on LM between Q and R. which arc the points on the indifference curve C. Any point between Q and R must be Oil a higher indifference curve like C1 indicating that curve at point ‘R’ .this is ideal amount of output which gives “satisfaction maximization. 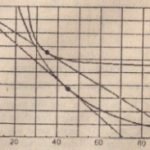 With the help of indifference curves one can show that how managers try to keep more ‘staff’ then less staff even if the more staff concept gives them lesser profits. This could have been used in communists countries earlier and this may be possible in public sector enterprises where managers wants to be more safe, Baltimore staff then, less staff and more profit. 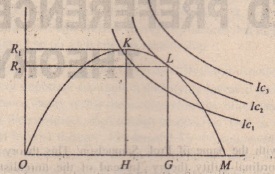 The trade-curio and ‘IC.’ ‘ICz’ and ‘IC)’ are managers utility function. When the size of staff is ‘OH’ the level of profit i~ ‘OR’, but managers try 10 maxi mise their utility b. haying more staff, then required. though the profit may be lower. 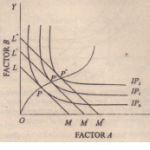 ‘ICz’, which is higher then IC., the managers utility functions curve which is tangent to the ‘0 l’ trade off curve at point ‘L’. At this point the manager’s are satisfied, that is ‘ORz’ profit and ‘OG’ amount of staff which is compared to ‘OR.’ less profit but more staff than ‘OH’amount.